Coming to Melaka is more like coming back to my home, catching up with old school mates. It is only 3 hours drive from Singapore if there is no traffic jam at the Singapore and Malaysia customs. 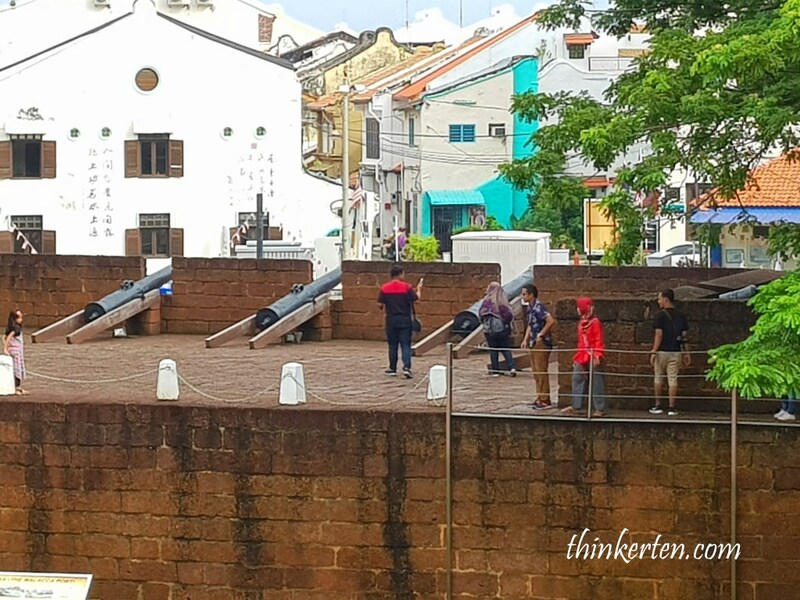 There are so many changes every time I visited this place, especially after Melaka city added to Unseco World Heritage List. I love coming to A’ Famosa! Coming here bring back a lot of my childhood memories! This is the surviving gate of the A’Farmosa fortress built by the Portuguese. The meaning of A Famosa means “The Famous” in Portuguese. 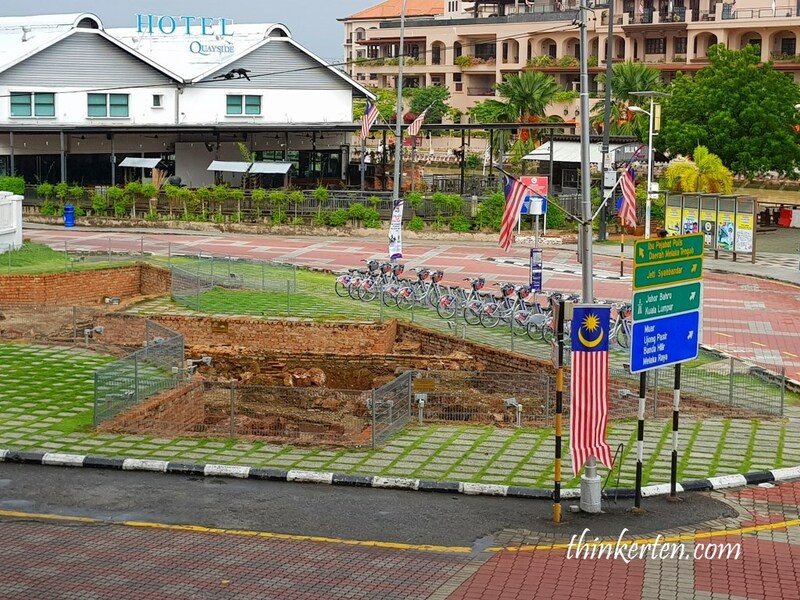 It is pity to see only part of the gate fort remains today. 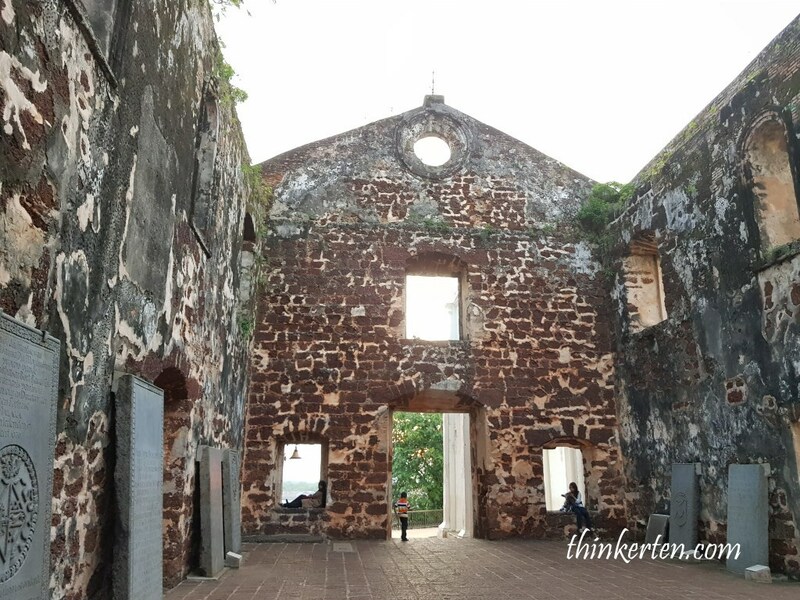 A Famosa also known as Porta De Santiago. 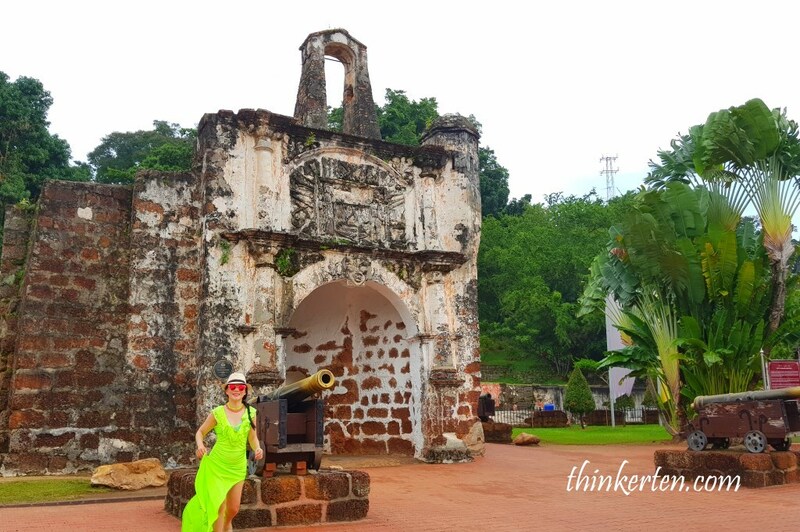 I still remembered my history teacher in high school in Melaka who wore very red lipsticks told us that the Porta De Santiago was one of the four main gateways into the Portuguese fortress of A Famosa. 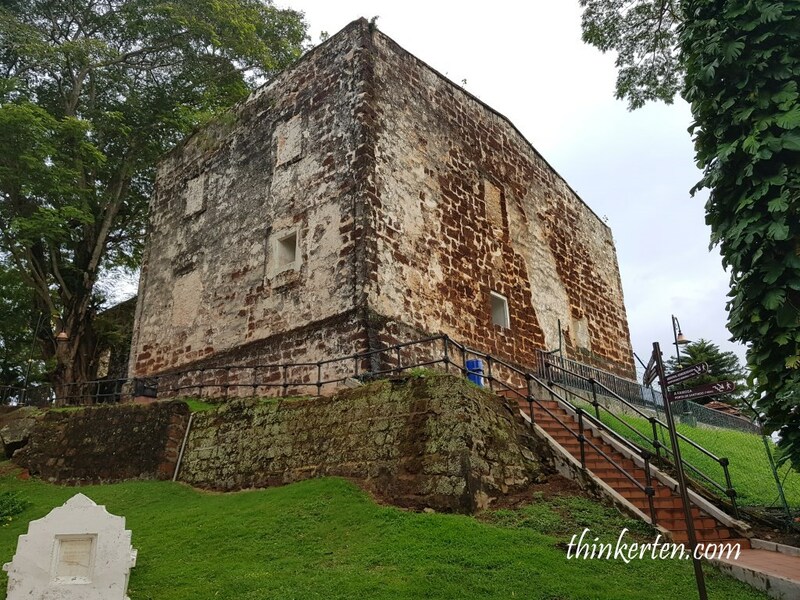 Due to the frequent “kacau”/ attacks from Sultan Madmud Shah’s followers and those from Aceh and Johor for over a century, the Portuguese commander Alfonso who conquered Melaka in 1511 built this fortress. If you move up the hill, it is called St. Paul’s Hill. At the summit, there is a church called St. Paul Church. My friend’s mom who is in her 70’s will climb up the hill daily to do her exercise routine. The hill has a very good pathway to walk on and not that hilly. Check out the marble statue only has one arm. 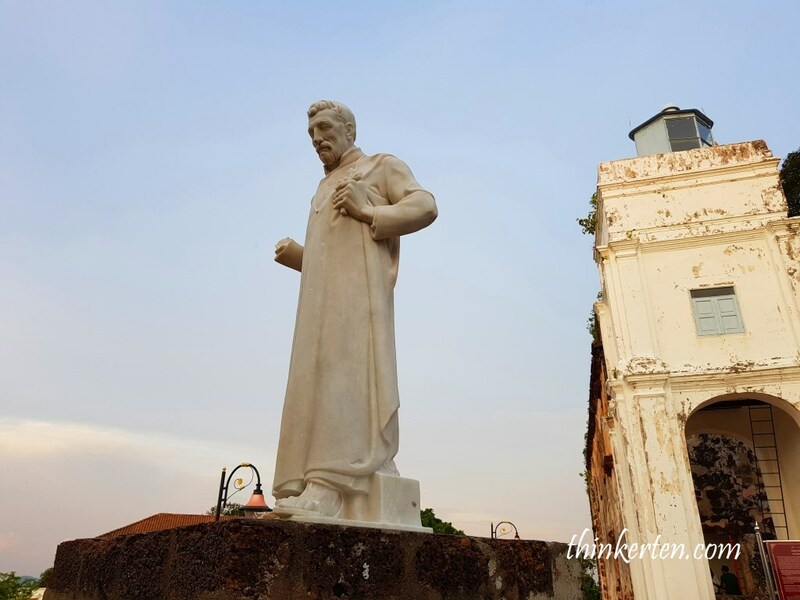 This great man is an active pioneering Catholic missionary of South East Asia so this marble statue of St. Francis Xavier was built in 1953 here to commemorate his good work as missionary. 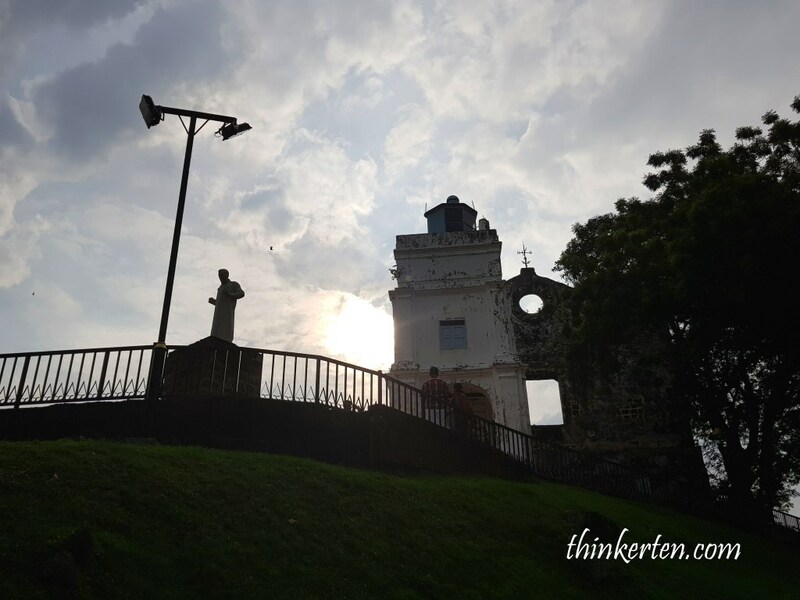 St. Francis Xavier was considered as a saint during his lifetime. 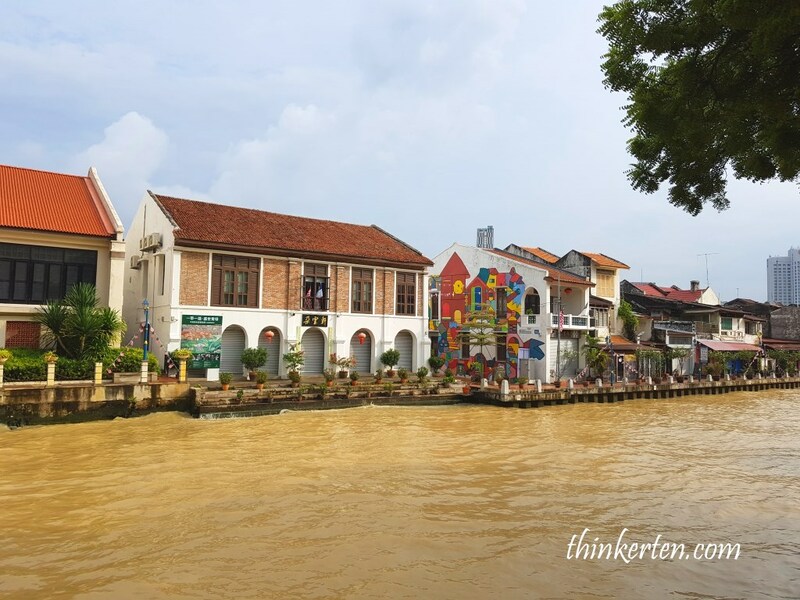 This place is quite an important iconic landmark in Melaka which all tourists will stop by. 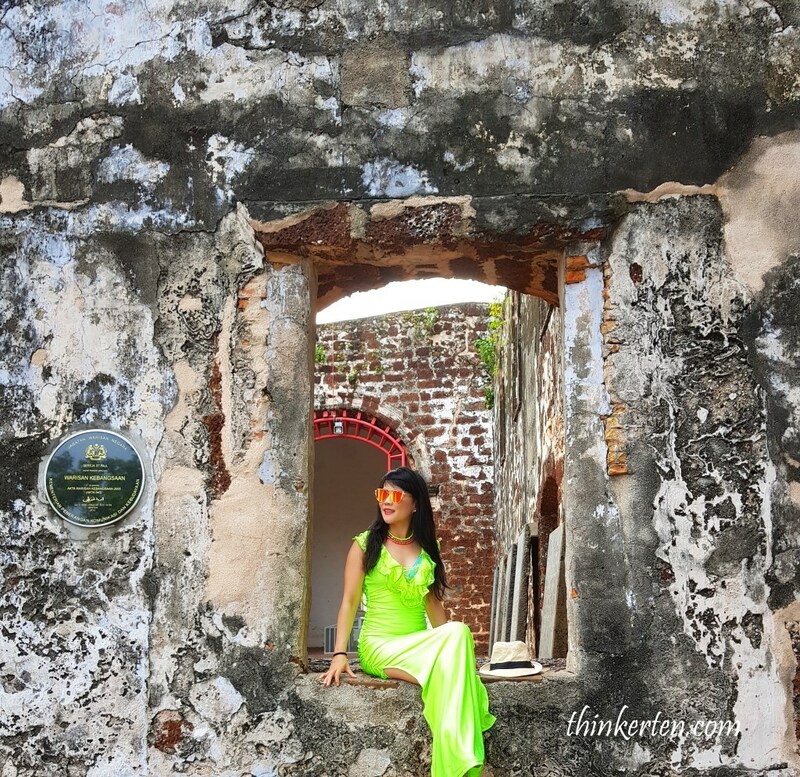 Sit for a while and catches some breeze and admire the old walls. Panoramic view of the church, observe there are also windows at the top so it is very airy and windy place to relax. 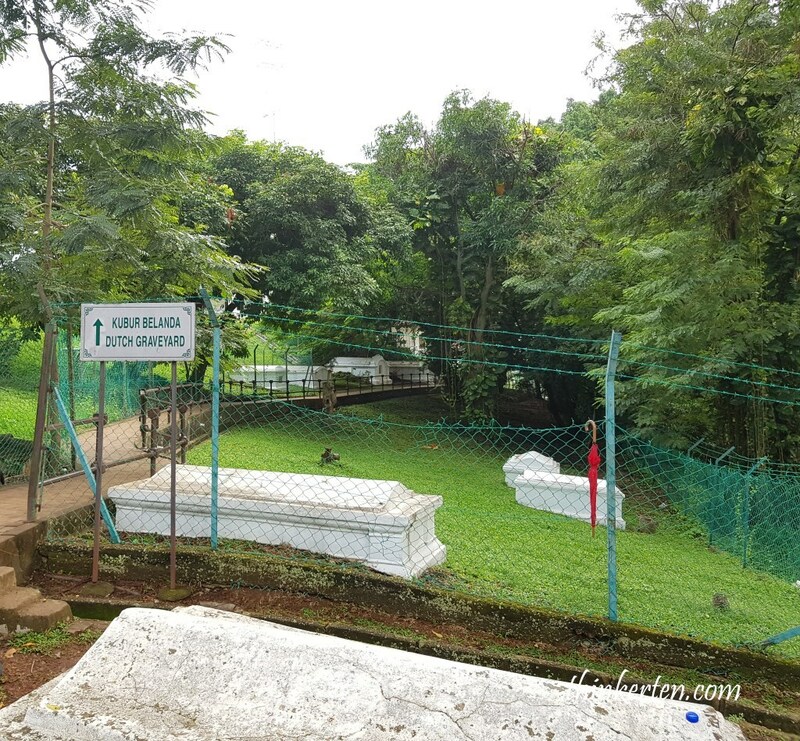 This place can quite eerie but if you like graveyard experience, you can try exploring the path to check out the Dutch mausoleum. It has more British graves than the Dutch Graves. British 33 vs Dutch 5 only. 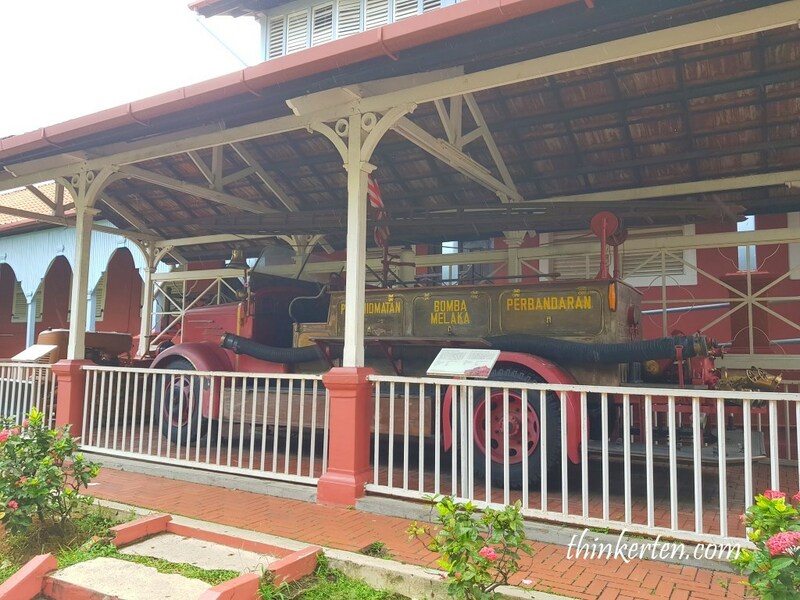 If you walk down the hill, there are many museums you can explore. 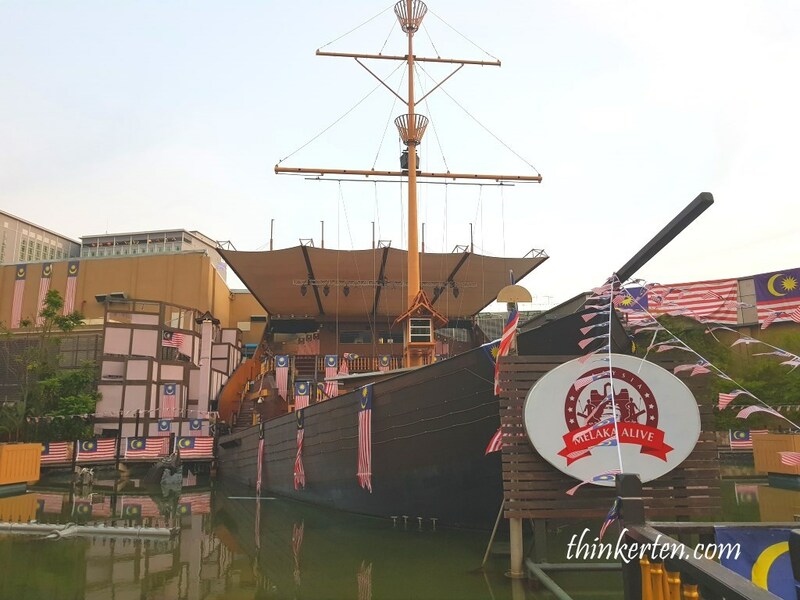 If you like some thrill experience, go for pirate adventure, quite stunning show which will tell you some history of Melaka. There are also some real people who dress up in pirate costume you can take picture with. The Stadthuys also known as the Red Square, built by the Dutch. 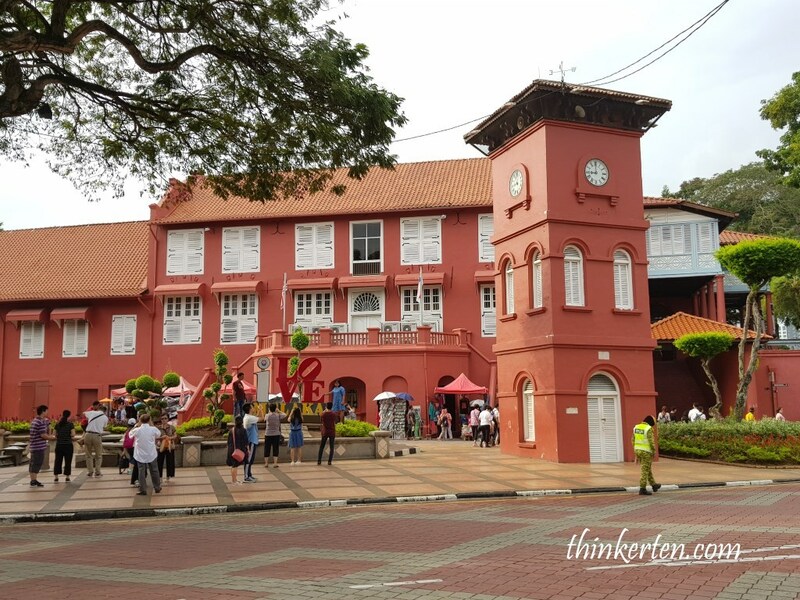 In Dutch, it means city hall, built after the Dutch took over Melaka in 1620 from the Portuguese. The Stadthuys is known for its red exterior and nearby red clocktower. The clock in the tower is still working. 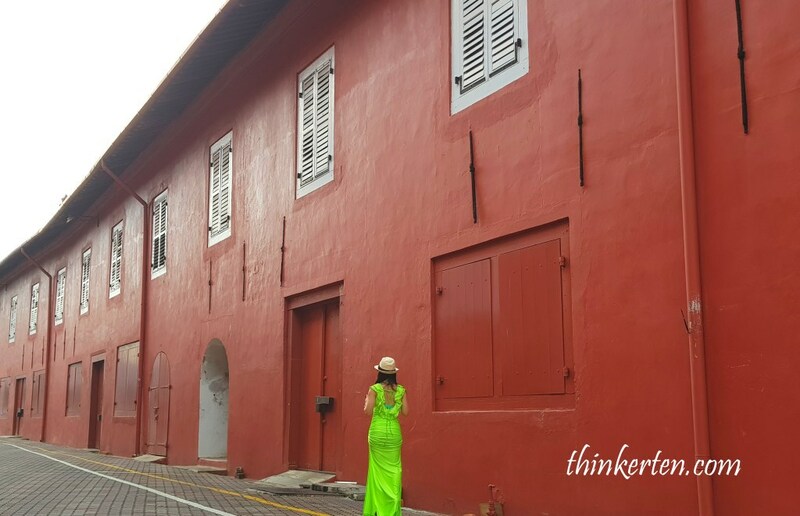 The oldest Protestant church in Malaysia is the Christ Church, built in 1753. Originally it was painted in white but repainted red in 1911, just to synchronize with Stadthuys. 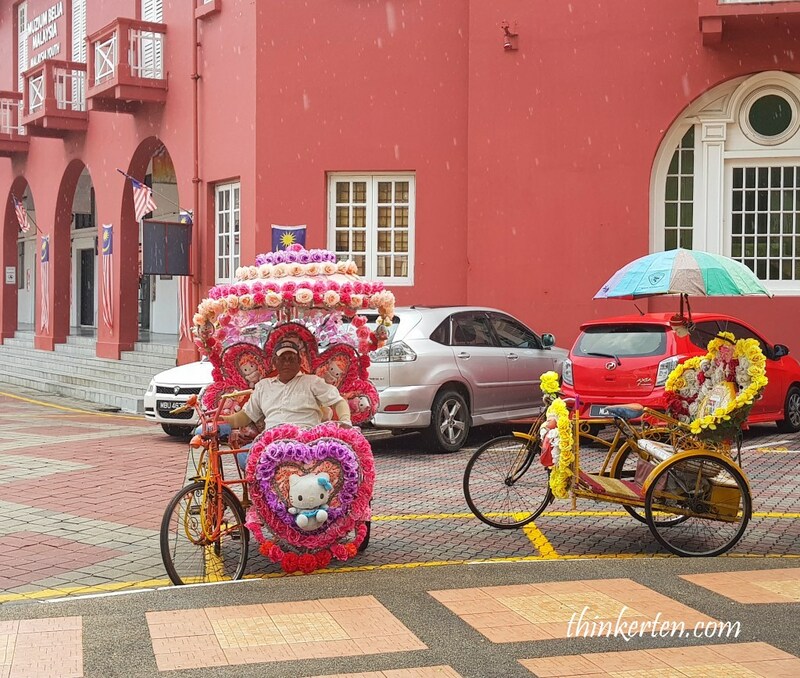 If you are tired of walking, you can try the trishaw experience in Melaka city area. Ask for the price before you go up their seats. At night, the trishaw uncles will light up their trishaws and turn on the loud music so it is going to be more fun when you ride with them. Full of Disco Vibes. 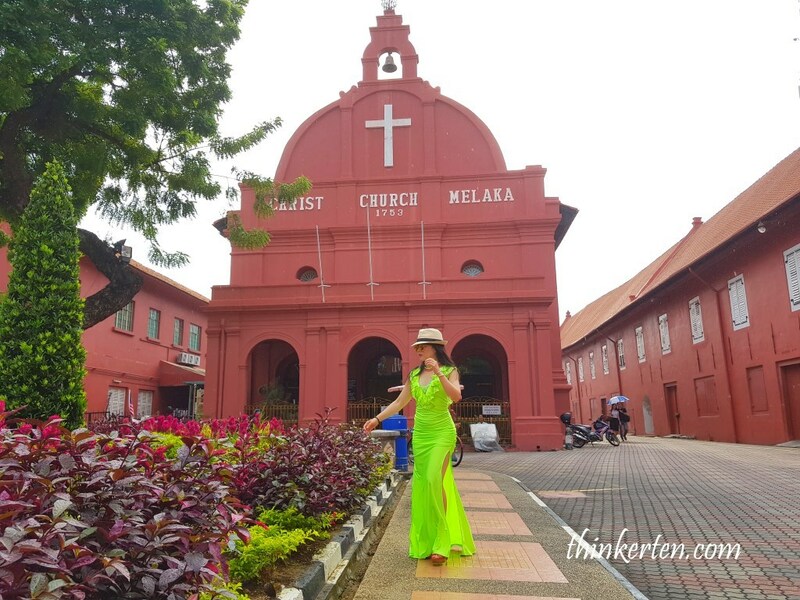 Try Melaka cruise about 45 mins to an hour. A great way to experience the whole city. Go in the evening, most preferably before sunset as the weather is cooler. 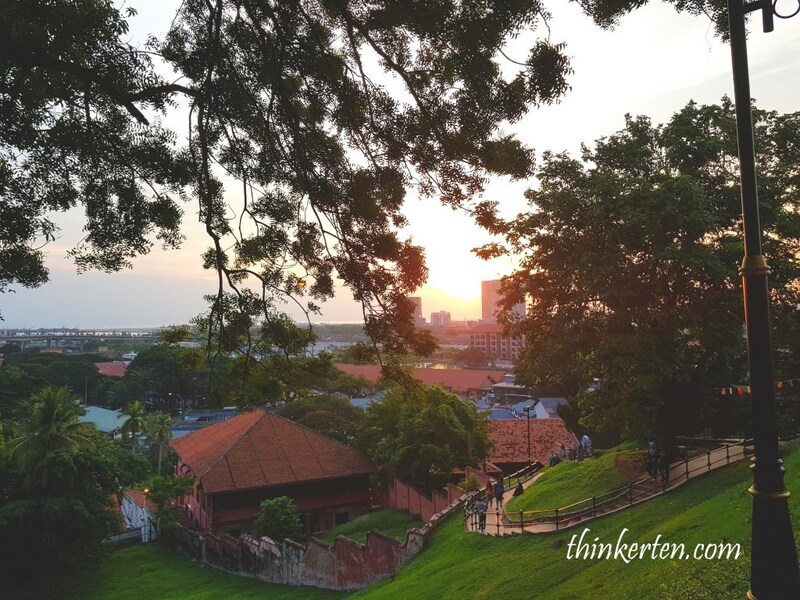 The night should be stunning along the Melaka river. I tried that few years ago in the morning, pretty hot but still very windy. 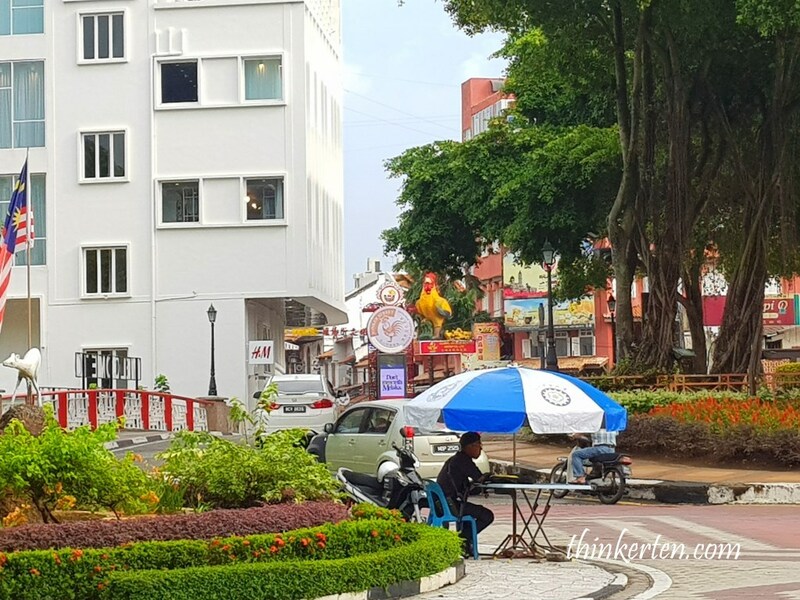 Spotted share bikes in Melaka city. My advise is don’t risk cycling as the town is not cyclists friendly. 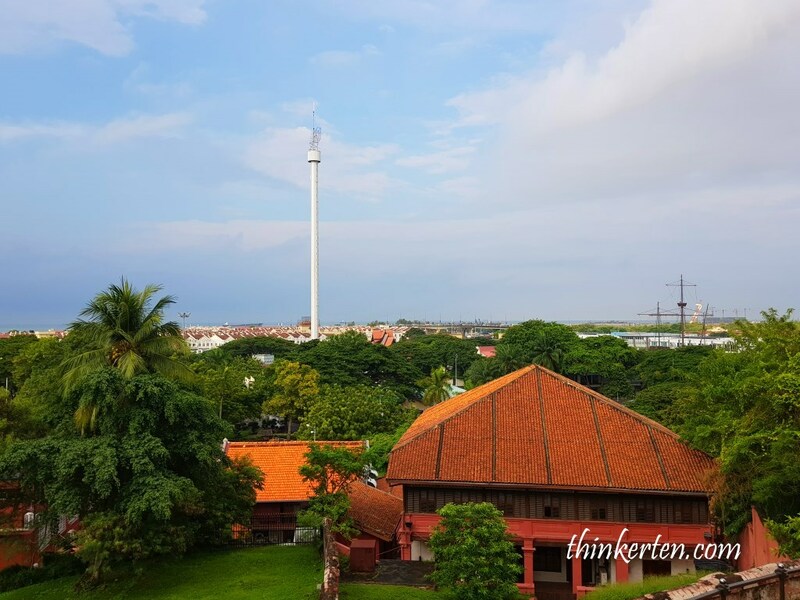 If you love museum, Melaka is the place for you to visit. I am not sure you can handle so many museum in a day. 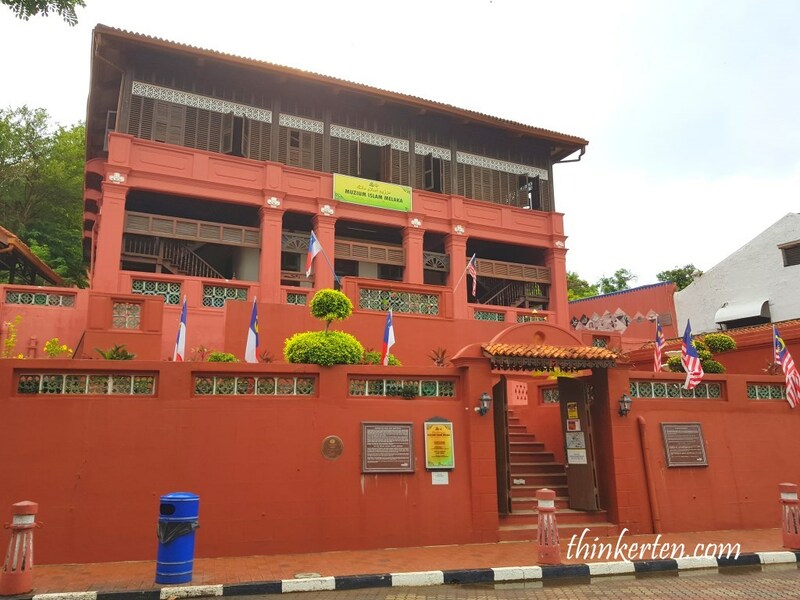 The museum exhibits the personal belongings of various governors of Melaka since the independence of Malaya. 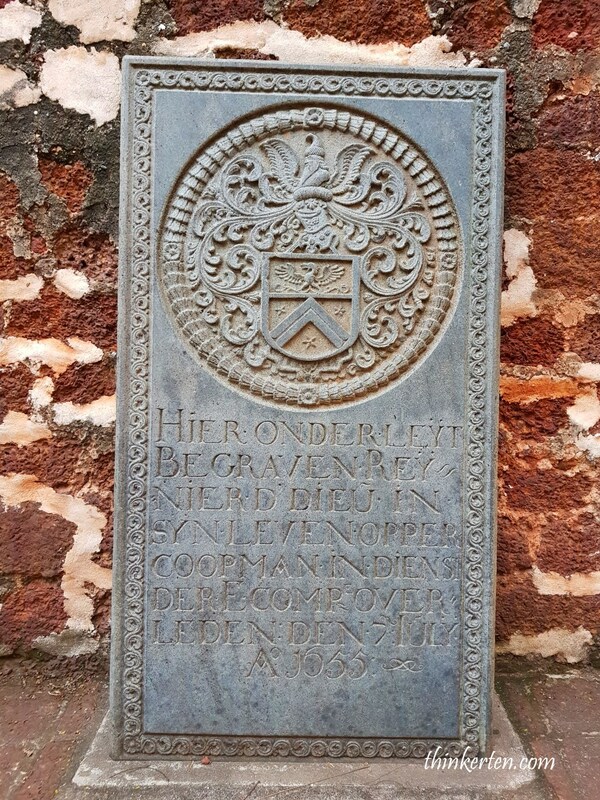 Visit the Stadthuys Museum if you want to see more artifacts. You can exit from the gallery Cheng Ho from the back of the museum if you need to go up St Paul Hill. The museum exhibits the mixture of traditional Islamic arts with local and international craftsmanship. 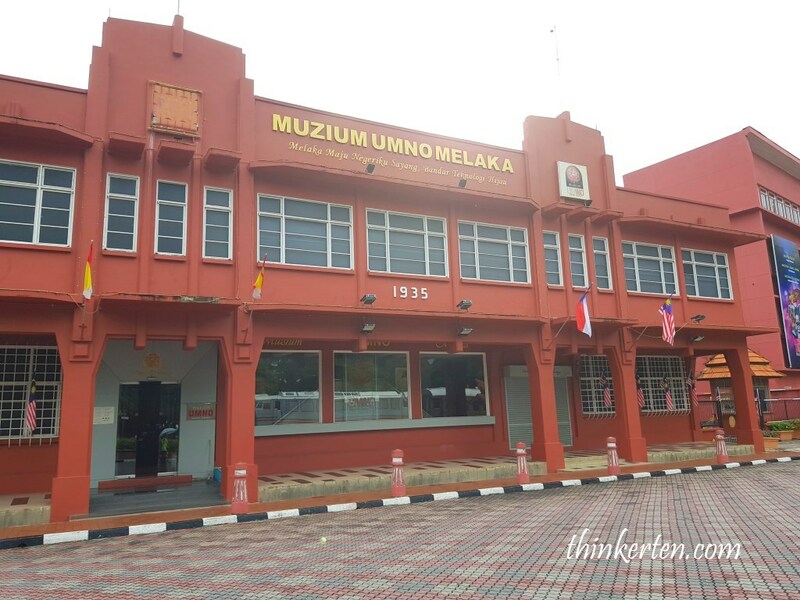 The museum exhibits historical matters related to the founding and struggle of UMNO. 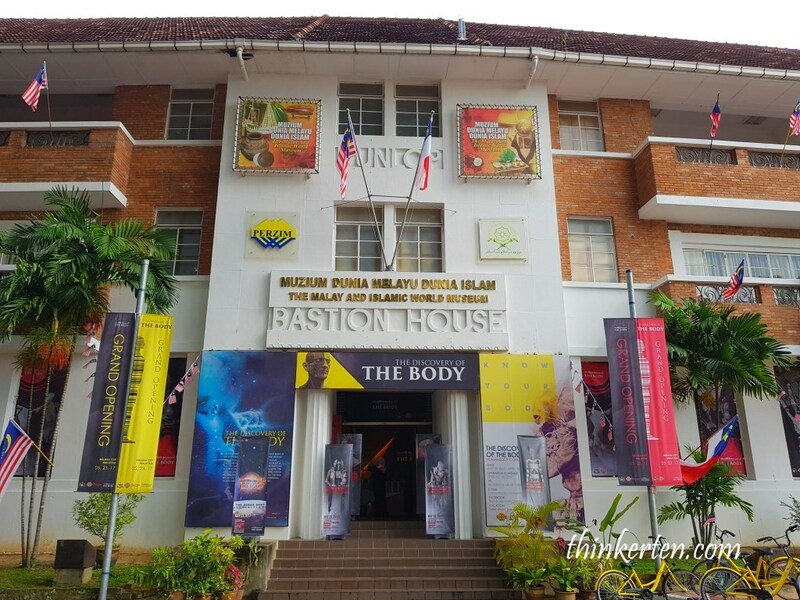 (United Malays National Organization) – largest political party in Malaysia. 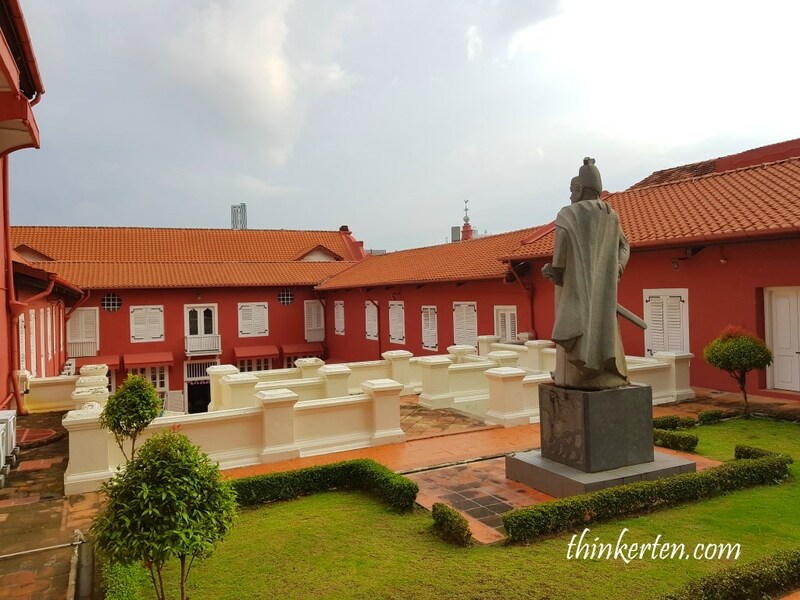 The white building was originally used as the residence for Dutch officials who lived in Melaka until the end of Second World War. 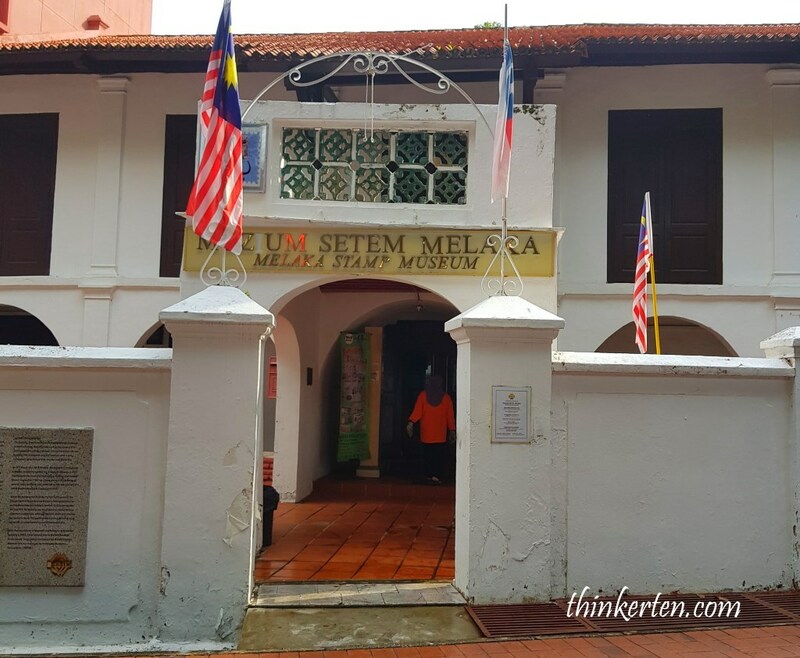 Later British turned the building into a state Melaka Museum but then move the the state museum to Studthuys as it has bigger space. Now it is a stamp museum. It is more of information in Islam and most of writing is in Malay. 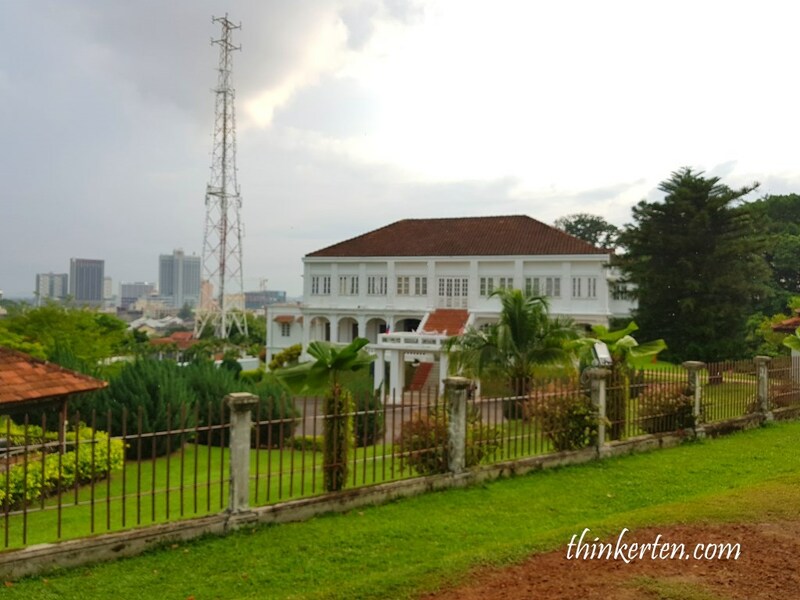 I am more interested in the building – Bastion House built in 1910 by the British, used to house the British rubber company Dunlop until 1986.